How Can We Help Our Nails to Grow Healthier? Bad habits, stress and diet low in important nutrients, vitamins and minerals are among the major factors bringing down the condition of our nails. Issues such as discoloration, pits, grooves, spots, horizontal lines and brittleness are extremely common nowadays. They not only make the nails look imperfect, but affect their health. The good news is that there are many things which you can do to improve the health and looks of your nails. Here are the most effective measures. Put an end to bad habits. The list includes biting your fingernails, pulling off hangnails and picking at your cuticles. These affect not only the looks of the nails, but also increase the risk of bacterial infections. If you bite your fingernails when you are anxious, you should start using an alternative method for calming down. You can do something else with your hands such as rotating a pair of relaxation balls. It is true that hangnails are extremely annoying, but it is easier and much more effective to clip them. Cut your nails, but not your cuticles. You must use sharp stainless steel scissors especially designed for the purpose. Cut your fingernails only after a shower or after soaking them in water for about ten minutes. They will be soft and this will make things easier. Cut the middle section of the nail straight and then round the edges. Use a hygienic nail file with your preferred firmness to achieve the desired shape. File the nails in one direction from the edge to the center rather than going back and forth. After softening the cuticles with warm water, you can massage them with a little bit of olive oil for nourishment. Then you need to push them back gently with the help of a cuticle pusher or orange stick. Cutting the cuticles increases the risk of infection so it should be avoided. Remember that you must never share any tools that you use for nail care. Protect your nails from harsh environments. Water is an enemy to nails when they are in it for too long. That is why it makes sense to put rubber gloves on when you wash the dishes. This will also give you protection from the nail-damaging chemicals found in washing liquids. Needless to say, such chemicals are present in all sorts of cleaners as well. For this, you should also put rubber gloves on when you clean various objects and surfaces from stoves to wood counter tops and cars. You should definitely protect your nails from the harsh environment during the winter months. Choose gloves which keep your hands warm while being breathable at the same time. The nails will benefit little from moisturizing, but the cuticles and the skin around them will be healthier and stronger. This will result in better nail health as well. It is best to apply moisturizer after a shower or a bath when the pores are open. You can use a specially designed product which contains various vitamins and minerals or a more basic product such as olive oil or almond oil. You can also apply hand moisturizer to these parts of the finger especially if you already use one. When the skin around the fingernails is rough and you experience nail problems such as discoloration and brittleness, you should use moisturizer daily. Otherwise, weekly treatments will be more than sufficient. Use the right nail products. You can add a layer of nail hardener before you apply nail polish if you have brittle and thin fingernails. Reinforcing hardeners are typically safer, but you should get well familiar with the specific ingredients just to be on the safe side. When it comes to nail polish, you would want to get a product which is free from toxic chemicals. Make sure that dibutyl phthalate also known as DBP, formaldehyde and toluene are not present in the bottle. There are two types of nail polish removers to select from. The acetone-based products are more potent, but cause skin and nail dryness and sometimes irritation. The non-acetone products are much less harsh, but less powerful too. They are recommended to those with sensitive and dry skin. In general, it is a good idea to moisturize the fingernails and the skin around them after using the remover. Get all the right vitamins and minerals for nail health. Vitamins A, C and E are essential for having strong and beautiful nails. They are found in leafy greens and raw nuts among other foods. Biotin is perhaps the most important vitamin for nails as it is known for strengthening them naturally. Foods which are rich in biotin include almonds, legumes, eggs and whole grains. Zinc, calcium and iron are also important for nail health. While zinc and iron are most abundant in meats like veal, the low-fat dairy products are the ideal sources of calcium. In general, when you have a balanced diet, you will have a healthy body and nails. If you have been diagnosed with vitamin deficiency, you should definitely take the supplements recommended by your doctor. Otherwise, you should check with him or her first before you use any product even if it is especially designed for boosting nail health. Watch out for bothering nail symptoms. Any changes in the color and thickness of the nails which last for more than two weeks and are not a result of injury should be reported to a doctor. This is important since they may signal a medical condition which requires specialist treatment. Other symptoms that you need to share with your physician include changes in the nail shape such as curving, detachment of the nail, bleeding and swelling. Choose a nail salon very carefully if you plan to go to one. Make sure that it is licensed and that all hygienic norms are strictly followed. All tools must be thoroughly sanitized after each customer. Before the treatment begins, tell the nail technician what you want done with your nails and cuticles exactly. It is perfectly normal to ask her to be gentle. Use all of the tips shared here for healthier and more beautiful nails. 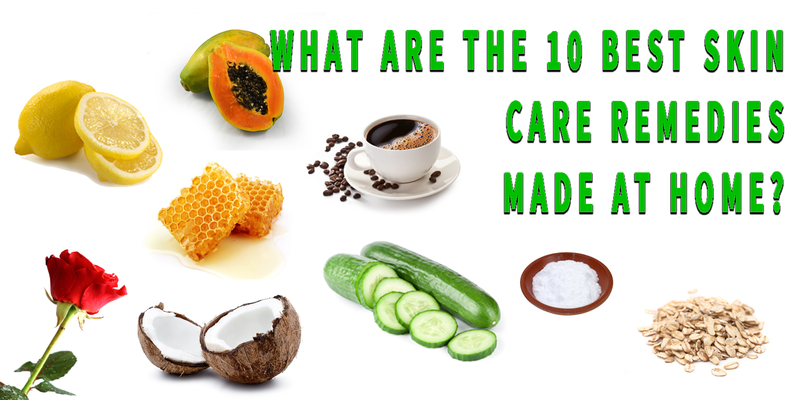 What Are the 10 Best Skin Care Remedies Made at Home? Everyone wants to have a smooth and supple skin which is radiant and perfectly free of imperfections. But can you achieve this without expensive cosmetics? You can readily try the most effective homemade skin care remedies. They are completely natural and safe. They have been proven to work. They are easy to use and cost pennies. Let’s check them out. You do not have to do anything special to prepare this home skin care remedy. You just need to wash a lemon, cut it in half and squeeze the juice out. You should use a small amount of it every day and keep the rest in the fridge. Surprisingly or not, lemon juice can do a lot of things for your skin. It is a natural astringent. It shrinks the pores and can help you get rid of black spots and of the tiny white ones too. It will also make your skin cleaner and firmer. You should apply it with a cotton ball on the face and avoid the eye area. This is undoubtedly the best home remedy for getting rid of acne zits. Cook one cup of oatmeal following the instructions on the box and let it cool down to room temperature afterwards. Then mix it with two tablespoons of honey and apply it on your face after cleaning it. Let the mask stay for fifteen minutes and them remove it gently with warm water. Oatmeal has the power to extract skin oil and helps to dry the pimples so that they go away more quickly. Honey, on the other hand, has antibacterial properties so it targets the bacteria which cause acne. Use this treatment once or twice a week. This is one of the top beauty home remedies because it offers very deep hydration while being totally gentle to the skin. You can readily apply it to the face and the eye area to make your skin super supple and amazingly soft. It gets absorbed very quickly so you should not expect to have oil spots. For best results, you should use this remedy before going to bed. If you want a truly rejuvenating home mask, this one is the best choice. You simply need to mix a quarter of a cup of coffee grounds, which you can find in your coffee machine, and a tablespoon of honey. Both ingredients are full of natural antioxidants which will erase all signs of fatigue, stress and aging from your face. Clean your face, apply the mask and let is stay for fifteen minutes. Then remove it with gentle massaging movements using a little bit of warm water. You will have a fresh and glowing skin afterwards. Cut two slices of cucumber and place them on your upper eyelids for ten minutes and then on the lower ones for another ten minutes. This is the best home remedy for getting rid of dark circles. It will make the skin around the eyes firmer as well as brighter. Both of these fruits are not only very tasty, but full of natural acids which help to remove the dead cells from the topmost layer of the skin. This is how fine lines, blemishes and even deeper wrinkles are greatly reduced. 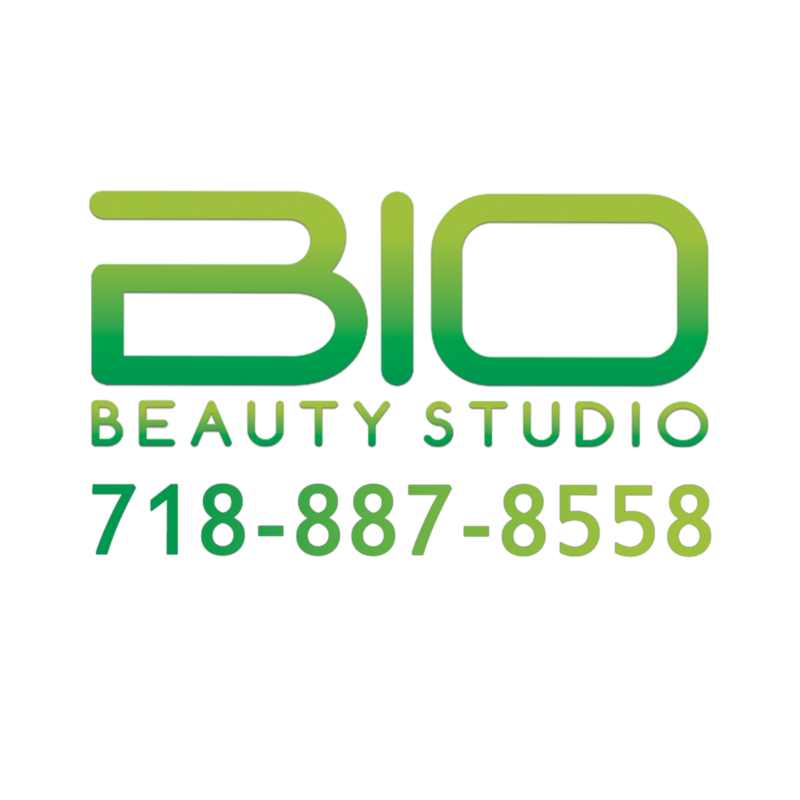 You will get that fresh and radiant look that you want. To prepare the exfoliator, you simply need to mix equal amounts of pineapple and papaya cubes to fill a cup up to the middle. Then you need to add two tablespoons of brown sugar, one tablespoon of honey and one tablespoon of almond oil. 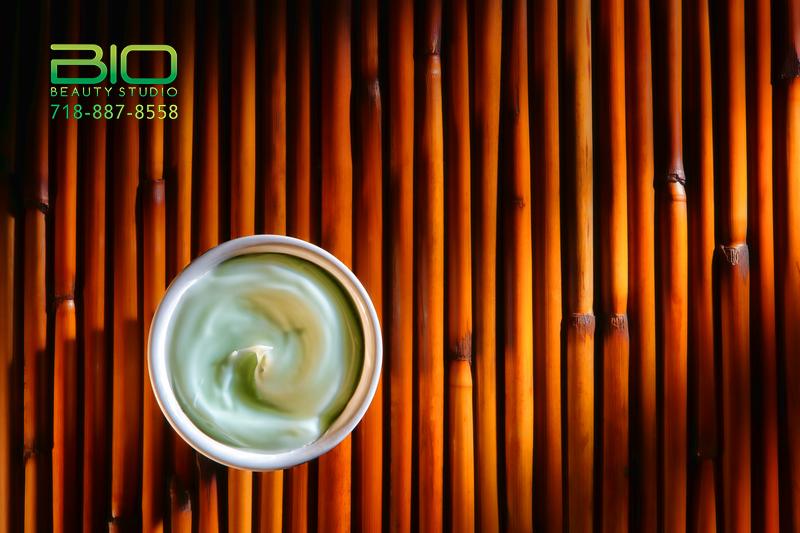 Mash the ingredients together until you get a fine paste Apply the paste on your skin for three minutes and remove it using gentle circular movements. Then you just need to enjoy the great result. This is the best home remedy for rough skin especially on the elbow and knees. Mix a cup of sugar with half a cup of kosher salt and a quarter of a cup of liquid almond oil to prepare the scrub. Use it while taking a shower when the skin has been softened for best results. Rub it gently against the skin, but not for too long. Then rinse it off. Remember to apply a soothing and hydrating cream afterwards to keep the result. It may go without saying, but this scrub is too strong to be used on the face. You just need to boil distilled water, remove it from the stove, pout it into a teapot and add tea, herbs, rose petals or essential oil. Just make sure that the ingredient you chose has benefits for facial care. Basil, for instance, is great for acne treatment while lavender has potent soothing effect. After steeping for about five minutes and having cleaned your face, you need to open the lid and enjoy the steam facial for ten minutes. It is essential to place a sufficiently large towel over your head to ensure that the steam goes directly to your face. You can make rose water at home by steeping cut petals or using distilled water. There are various recipes which are quite easy to use. The important thing is to use the water when it is at room temperature. This home remedy not only smells divine. It is the ideal soothing agent to use for the face. It will make redness go away. It is amazingly refreshing. It will give your skin natural glow. It is also a mild astringent so it will make your skin slightly firmer. Just mix equal amounts of this magical ingredient and water to make a paste. Apply the paste on an area of the skin which is irritated or inflamed to get a natural soothing effect. You can keep the paste on for as long as necessary. The important thing is not to use it on open wounds even if there are only minor cuts. Use all of these home remedies for perfectly looking and healthy skin. 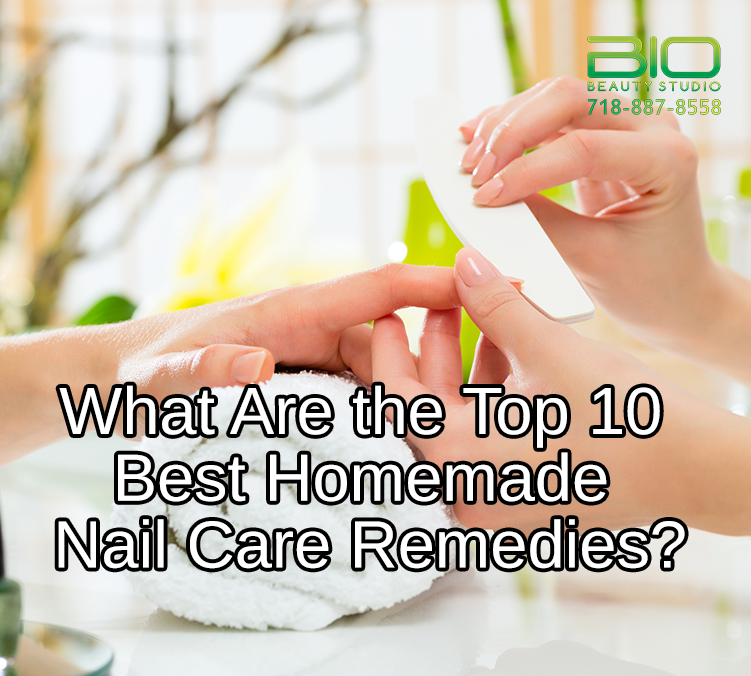 What Are the Top 10 Best Homemade Nail Care Remedies? It is perfectly possible to get the high-profile nail care that you require at home. There is a natural home remedy to deal with any problem that you experience from discoloration to brittleness. The treatments can also help to prevent such issues. Check out the most potent homemade nail care remedies. Some of them can be used directly while the others are extremely easy and quick to make. This is the best natural moisturizer for nails and the thicker skin around them. You need to get a small amount of the lightest olive oil that you can find. Before you go to bed, you need to massage it into each nail including the cuticle and the skin area surrounding the nail. Since the nails will be slightly oily after the treatment, it is best to put sleeping gloves on for maximum comfort and peace of mind. The gloves will help for the better absorption of the moisturizer as well. On the next morning, you will have stronger nails with beautiful natural glow. Use this moisturizing treatment once a week. Whether you prepare it at home or buy it from an organic shop, you will find this home remedy ideal for softening the cuticles and the skin around the nails. It will also help them keep their natural shine and pink color. Just dip your fingers in a bowl of rose oil before cutting and shaping your nails and you will feel its remedial effect almost instantly. Keep your fingers soaked for five minutes in order to enjoy the best results. This is one of the best natural sources of biotin, also known as vitamin H. This vitamin has been proven to strengthen the nails and hair. It helps to prevent and treat brittleness. You can massage your nails with almond oil once a week and let it stay overnight by wearing gloves. Additionally, you can increase your consumption of almonds. They have a variety of other health benefits while being a great snack. This fantastic natural remedy helps to remove all kinds of stains from nails while giving them a natural shine. If you have strong nails, you can apply a little bit of freshly squeezed lemon juice directly to them with a cotton pad. If there is a need for protecting and nourishing your nails as well, you should mix equal amounts of lemon juice and olive oil and bring the mixture to boil. Let it cool and soak your fingers in it for ten minutes. Dry them afterwards. In either variant, lemon juice should be used weekly for best results. This nail care remedy is amazingly potent while being found in practically every home. You can buy it cheaply in any supermarket. It is rich in a variety of compounds which are good for the nails. The list includes biotin, vitamin C and iron. Just by soaking your nails in apple cider vinegar for about five to ten minutes, you can make them stronger. You will no longer have to worry about brittleness. This remedy helps to restore the natural color and shine of nails too. It is truly invaluable. This natural remedy is rich in various vitamins and minerals which help to strengthen nails including calcium. You can readily put one spoon of dried horsetail into one cup of water that you have just boiled and steep for seven minutes. You can soak your fingernails into the tea after it cools down to room temperature or drink it. In both cases, you will enjoy a beneficial effect. By drinking the tea, however, you may get other health benefits from it too. If you have left your nail polish on for a long time, it might have caused yellow stains on the surface of your nails. Gladly, these are easily removed with baking soda. Mix it with a little bit of water to make a paste. Apply the paste to the yellow spots and leave it there for ten minutes. Do not rub the paste into the spots. Wash it off in the end. Use this treatment again if necessary. Add a sufficient amount of warm water for soaking your fingernails in a bowl. Then add a teaspoon of Dead Sea salt. This particular salt contains zinc, calcium and other minerals which help to strengthen the nails. You should also add a few drops of vitamin E oil which is also quite nourishing. Soak your fingers for fifteen minutes for getting the strength, smoothness and shine which you have always wanted. If you want to turn this treatment into true spa pampering, you can add a drop or two of aromatherapy essential oil. Lavender brings relaxation while rosemary is invigorating. If you want effective anti-fungal meditation, this one is the top choice. Tea tree oil fights nail fungus helping you to achieve the strength and beauty that you have always desired. For best results, it should be applied twice a day. Use it in the morning and then in the evening. Make sure that it stays on your nails for half an hour. Then remove any remaining oil using soft dry cloth. Before you use this remedy, you should consult your doctor just to be on the safe side. This is juice has all the right vitamins for your fingernails. It is rich in vitamin C, which is essential for the shine of the nails. Vitamin A helps to make them stronger and more resistant to breaking. Vitamin E and biotin have similar effects. All of these vitamins are great for your whole body as well as for your nails. That is why you will benefit from drinking a glass of tomato juice every day. Just make sure that it is not sweetened to avoid adding too many extra calories to your daily intake. As long as you follow the recommendations for preparing and using these home remedies, you will get the best results in the shortest time. What Are the Top 10 Best Homemade Remedies for Maintaining Beauty? There is no room for desperation if the high-street cosmetic products and treatments are well beyond your budget. You can readily use homemade remedies which will help you to achieve all the beauty benefits that you want from soft, smooth and plump skin with natural glow to strong nails and thick, bouncy and lustrous hair. Take a closer look at the best beauty home treatments which will give you the results that you want and save you a great deal of money too. What is so special about egg yolk? It contains biotin which is essential for making hair stronger, thicker and more lustrous. It is also rich in vitamins A, C and E. They provide protection from the damaging effects of the environment and especially of the sun’s UV rays. The nutrients contained in egg yolk stimulate hair growth as well. Prepare the mask by mixing two egg yolks and two tablespoons of olive oil, which is full of nutrients too. You can add a little bit of water if the mixture seems too thick. Apply the mask for half an hours and then rinse it off. You can wash your hair afterwards, but this is not necessary. Mix half a cup of brown sugar with a quarter of a cup of olive oil. Then add four tablespoons of honey and two tablespoons of ground cinnamon. Use the scrub while you are in the shower to remove dead skin cells from all parts of the body apart from the face. The elbows, knees and ankles need more scrubbing for best results. You will have a perfectly smooth nurtured and hydrated skin afterwards. Enjoy this treatment once a week. The peel of this fruit is rich in fruit acids which help to remove wine, tea and tobacco stains from teeth. Get an orange and wash it thoroughly. It is a good idea to use a sponge and a bit of dish washing liquid to remove any wax which may be present on the skin of the fruit. Enjoy the orange and cut the peel into pieces which are big enough for you to hold yet small enough to go into your mouth. After washing your teeth, rub them with the peel, spit and rinse. You can use this treatment weekly or daily depending on your needs. Puffiness, redness and dark circles around the eyes will quickly go away with the help of this antioxidant-rich remedy. Prepare a cup of green tea at home and cool it in the fridge once it reaches room temperature. When the tea is finally cold, you need to soak two cotton pads in it. Use a small amount and avoid squeezing the liquid out. Place the pads on your upper lids for ten minutes and then on the lower ones for the same period of time. You will feel refreshed and look fantastic afterwards. The best way to have a younger complexion is to remove the dead skin cells from your face on a regular basis. The skin becomes softer and smoother while fine lines, wrinkles and blemishes are removed. Peaches are rich in alpha hydroxy acid, which breaks down dead skill cells, vitamin A, which has proven anti-aging effect, and vitamin C, which makes the skin brighter. Puree one ripe peach and mix with half tablespoon of liquid coconut oil, half tablespoon of honey and a tablespoon of brown sugar. Use the mixture as exfoliate once or twice weekly after washing your face. This oil helps to moisturize the affected area. When you massage it into it, you will also stimulate the blood flow. The nutrients in olive oil will also help for reducing the appearance of stretch marks. Use this treatment daily after taking a shower for best results. The skin around your nails and especially the cuticles are important for the health and appearance of nails. To give these areas a good treatment, cut red grapes and dip them into a bit of fine white sugar. Then massage the skin around each fingernail with a grape half. Both the acid in grapes and the sugar help for exfoliating the skin. The antioxidants in the grapes will improve its condition. It is best to use this treatment before shaping and polishing your nails. You hate seeing your lips dry, chapped and lacking color. Mix a teaspoon of honey with a teaspoon of rosewater and apply the mixture on your lips. Keep it for ten minutes and then rinse it off with warm water While rosewater will remove any dead skin cells honey will moisturize the nourish the skin of the lips. Use this treatment weekly or more often during the winter months. The water and fat deposits underneath the skin of the buttocks and thighs create dimples and lumps which do not look good at all. Cellulite can be reduced greatly with the use of topical treatment, diet and exercise. Instead of investing a small fortune in a cream which contains caffeine, you can get the grounds from your morning cup of coffee and use them as scrub for the affected parts of the body. Massage the buttocks and thighs with the grounds every day while you are in the shower. The skin will not only feel softer and appear smoother after this. Caffeine is a potent diuretic which helps to reduce the water deposits which are the cause of the problem. Mix half a cup of cornmeal with a quarter cup of mashed banana until the mixture is as thick as wet sand. Then use it to massage the feet. Do not miss to include the toes. While cornmeal acts as a natural exfoliant and helps to prevent fungal growth, banana is rich in various nutrients including biotin, which strengthens the skin and nails. 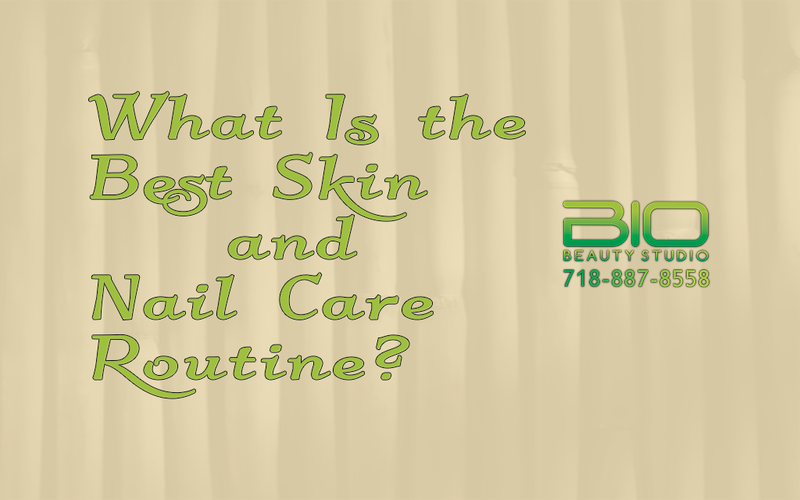 What Is the Best Skin and Nail Care Routine? It is far-fetched to say that beauty requires sacrifices, but it definitely demands discipline. If you want to get the best results from skin care and nail care, you have to establish routines and follow them strictly. Here are the most effective routines described in detail. Step 1: Wash your face after you wake up in the morning. It has certainly not accumulated dirt during the night, but it has produced sebum which blocks the pores and has to be removed. Use lukewarm water . You can also use a specially formulated cleanser or a soap with oil in it depending on your skin type and specific needs. Step 2: Apply moisturizer to your face right after blotting any excess water or cleanser. It is important to apply the product on slightly damp skin. The ideal moisturizer offers deep and lasting hydration while being perfectly light. It provides protection from the UVA and UVB rays of the sun too. It is best to go for a product with SPF 30 or higher. Use matching products for the face and eye area for best results. Step 3: Apply makeup after the moisturizer has got fully absorbed into the skin. If you use a light formula this should happen fairly quickly. Try to use makeup which does not block the pores even if you have dry skin. Avoid applying too much foundation. It is best to spread it with soft sponge applicator. Step 4: Remove makeup from your face before you go to bed. Use a gentle yet sufficiently potent makeup remover. Clean your face with your cleanser or with soap. Agan, blot excess water instead of rubbing your skin with the towel. Step 5: Apply night cream and a suitable eye product. The choice of night cream and matching eye treatment depends on your skin type, age and any particular problems that you want to deal with. If you have acne, for instance, you can use a cream which dries pimples. If you want to reduce wrinkles, you can apply a retinoid-based cream. Extra Step 1: After you remove your makeup and wash your face in the evening, have a steam treatment for opening the pores. Boil some distilled water, pour it in a teapot and let your face soak the steam for five to ten minutes. Cover your head with a towel for best results. You can add a few drops of essential oil into the water or fresh herbs, if you wish. Extra Step 2: Apply an exfoliating and nurturing mask to your face. It must be formulated for your skin type and age. Follow the instructions for application and removal strictly. Remember not to cover the area around the eyes. The mask will remove the dead skin cells and stimulate the skin to produce more collagen and elastin. This will give you the smoothness, plumpness and softness which you require. After you remove the mask, you can apply your night cream. It is up to you to decide how frequently you will follow the routine presented below. You can do it once every week or once every two weeks. Step 1: Exfoliate the skin around the nails including the cuticles. This will give you the softness and refined looks that you require. You can use a specially designed product or simply cut a grape in half and dip it into some sugar. Step 2: Soak your fingers in warm, but not hot water until your nails get soft. It usually takes around ten to fifteen minutes, but more time is needed in some cases. It is possible to skip this step if you plan to do the following ones after taking a shower or a bath. Step 3: Massage a little bit of hydrating and nourishing oil into the skin around the fingernails and to the cuticles. This will help for further softening of the skin and for further improvement of its looks too. Do not miss to wipe excess oil. Step 4: Push the cuticles in the direction of the nail base using a specially designed rounded metal pusher or an orange stick, which is sharper. The choice of tool depends on how soft your cuticles are and on how skilled you are at the task. Most beginners find the use of an orange stick easier. Step 5: Trim your nails with sharp scissors. Cut the pointier middle section straight and then make curves around the edges. It is up to you to decide on the depth of the trimming. In general, it is always best to leave some more of the nail so that you have room for shaping. Step 6: Shape your fingernails in the way which you desire with the use of a file. It is up to you to decide on a file depending on how hard you want it to be. In general, the models with combining different grits will give you maximum flexibility. The glass files give you the greatest room for creativity and allow for maximum precision while being hygienic and easy to maintain. Start filing from one edge to the other and go only in forward direction. The following steps are optional depending on whether you want to wear nail polish or not. Step 7: Apply nail hardener if you have brittle nails or nail foundation to make the surface perfectly smooth for the next step. Step 8: Apply nail polish in as many layers as you deem fit. Usually, two layers are more than sufficient. Start by making one swipe over the central area of the nail and then one swipe on each side. You can apply a special top coat for extra shine if you wish. Step 9: Allow the nail polish to dry. Avoid using your hands in the meantime. What Vitamins Are Essential for Maintaining Perfect Skin? It is awesome to have healthy and radiant skin which is free from all sorts of imperfections such as pimples, dilated pores, spots, fine lines and wrinkles. You will look and feel fabulous. In order to achieve perfection, you need to nurture the skin properly. This is best done with the help of vitamins, which are vital nutrients for regulating processes and systems in the body. Find out which ones have the most beneficial impact on the skin and how to get them and use them in the most effective way. This is one of the most potent anti-aging compounds that you can find. 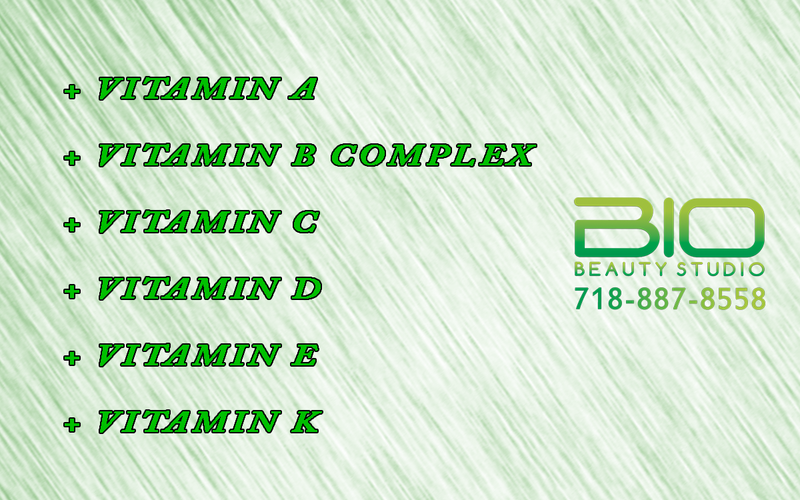 Vitamin A also known as retinol has been proven to counter the effects of aging. It helps to reduce fine lines, wrinkles and dark spots when applied topically in retinoid form. It makes the skin smooth and glowing. Since retinoid-based topical creams are highly potent skin care products, it is best to use one after consulting a dermatologist especially if you have sensitive skin or a medical condition. Should you take vitamin A supplements for beautiful skin? There is no need for supplementation unless you have been diagnosed with deficiency. You can readily get this vital nutrient from various types of foods which are rich in it. The list includes fish, eggs, liver, carrots, leafy greens and sweet potatoes. When the levels of this vitamin in the body are normal, this has a positive impact on the health of hair and nails as well as on the skin. There are two vitamins from the B group deserving greater attention from those looking to improve skin health and appearance. Biotin is a foundational element for cells in the body. When a person suffers from biotin deficiency, the most common symptoms include itchy and flaky skin, hair loss and brittle nails. The good new is that people can maintain the optimal level of biotin in the body easily through their diet. This is vitamin is found in eggs, whole grains, bananas, rice and almonds. There is a growing number of research studies producing evidence of the beneficial effects of vitamin B3, also known as niacin, on the skin when it is used in topical form. Its major benefit is that it helps for the retaining of moisture in the skin. This gives the face a plump and healthy younger look. The really great thing is that this effect is achieved fairly quickly. Vitamin B3 has potent anti-inflammatory properties as well. It helps to reduce redness which is a very common skin problem. Another benefit of this vitamin is that it helps to reduce abnormal pigmentation. In this way, it can help you get rid of sun spots and age spots. This is one of the most powerful antioxidants. It fights free radicals which cause damage to skin cells. This is an extremely important function since free radicals work to reduce the production of collagen and elastin. As you know, these two compounds are crucial for the health and appearance of the skin. Without them, it loses its smoothness and plumpness. Simply put, vitamin C helps to define aging and its more common signs such as wrinkles and loss of firmness. Free radicals cause cellular damage which may eventually develop into skin cancer. That is why this vitamin is becoming an integral part of modern sunscreen products. Given all this, you have to ensure that the skin care products which you use and especially the ones which are applied in the morning contain vitamin C.
When it comes to vitamin C supplementation, it is typically not required in healthy people. You can get the amount of this compound which your body needs through fruit such as kiwi, oranges and grapefruits and through vegetables like tomatoes, peppers and leafy greens. You certainly know that this vitamin is essential for the bones, but this is true for the skin as well. This is because it is responsible for the absorption of minerals such as calcium, zinc and magnesium. These minerals all help to keep skin health optimal. Zinc, in particular, gives you clear spot-free skin. Furthermore, vitamin D helps for the reduction of redness and inflammation especially in patients suffering from psoriasis. The best way to keep the levels of this nutrient in the body optimal is to soak up some sun before ten in the morning. The foods which contain the highest levels of it are fatty fish and mushrooms. The health benefits of this vitamin for the skin have been proven by numerous studies. Just like vitamin C, this one is a powerful antioxidant fighting free radicals. It helps to reduce the risk of sun damage and the common signs of aging. For best results, it should be taken orally even if you use a cream or other skin care products which contain it. The foods with the highest amounts of this compound are sunflower seeds, nuts, spinach, avocado and tofu. It is found in vegetable oils and in fish as well. Still, diet is often not sufficient for getting the health benefits of vitamin E for the skin. That is why you may consider taking up to 400 milligrams of the compound per day. This is the dosage which most studies analyzing the effects of the nutrient on the skin have used. Before you decide to use any kind of supplement, however, you should discuss it with your doctor. You may have not even heard of this vitamin, but research studies done by leading medical schools have found that it helps to reduce dark circles under the eyes, bruising and even wrinkles. For defying dark circles and wrinkles, it is usually combined with vitamin A. In general, the role of vitamin K in the body is to support blood clotting. That is why it will not produce great benefits for the skin if it is taken orally. With the right cosmetic products, diet and supplements, you will get optimal amounts of all essential vitamins for skin health and enjoy radiance and beauty. 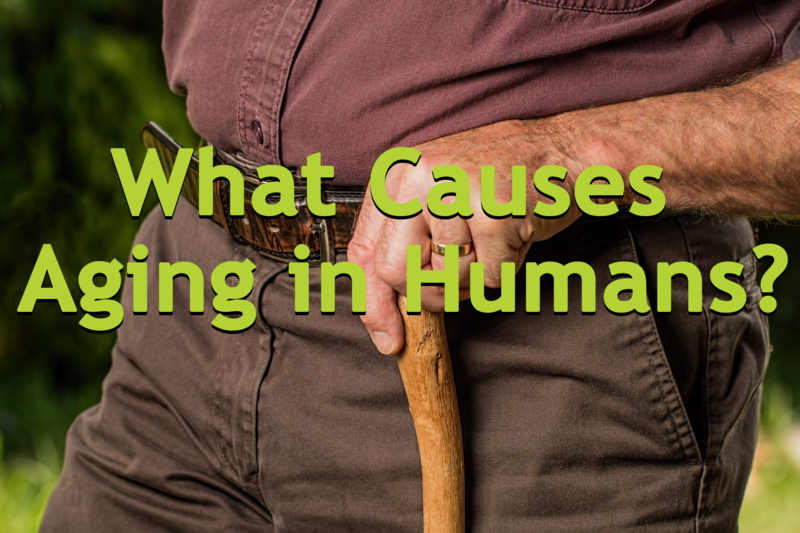 What Causes Aging In Humans? Any person alive wants to stay young and live eternally. This is not possible for the time being, but there is massive research done on the causes of aging in hopes that this process can be reversed or at least slowed down. The reality is that no one still knows why we age. Let’s take a closer look at the two main theories intended to explain this natural process and at factors which are considered to speed it up. The damage concept is the first one of the two most widely supported aging theories. It states that external factors cause damage to our genes (DNA). Various small changes in our DNA occur over time and build up. This causes cells, tissues, organs and systems to change adversely as well. At one point, the DNA change becomes so big that the body fails completely. The second concept is programmed aging. It states that each person has a gene or a combination of genes that will determine how long he or she will live. If this gene or gene combination is discovered, it may be possible for it to be modified in the future. Even though neither one of the concepts has been fully backed by research evidence, it is known that some things in life cause people to age more quickly. These have to do with the risk of increasing cellular damage. It is worth checking out the main ones. Substance abuse is one of the main factors speeding up aging and increasing mortality risk. People who smoke a lot, drink too much alcohol and/or take drugs are more likely to get affected by serious illnesses such as cancer and organ damage and failure. If you have any of these problems, you should consult a specialist who will help you deal with it timely. Stress is among the most prominent factors which make you age more quickly. When you stress out, specific hormones are released into the body. They help you to stay alert forcing all organs and systems to work more intensively. This is a good thing. It is part of the instinct for self-preservation. However, if you are under stress very often, it becomes harder for the body to keep all organs and systems work optimally. This can result in adverse effects such as high blood pressure and weakening of the immune system. Daily stress is one of the major risk factors for heart disease. The best thing which you can do is to find a way to keep anxiety and emotions under control and get sufficient rest. Long sun exposure without proper protection between ten in the morning and five in the afternoon is another risk factor which is often neglected. Both the UVA and the UVB rays of the sun cause damage to the skin cells. This damage results in quicker aging of the skin. The skin loses its softness and elasticity. Dark spots and wrinkles appear. The damage to the cells can lead to changes in the DNA which cause the formation of tumors. Skin cancer is one of the most widespread types of cancer and it affects a growing number of young people every year. Given all this, it makes sense to wear sunscreen, wide-brim hat, sunglasses and breathable clothes which cover as much of your body as possible when you go out during the day. High calorie diet is also a major factor which makes the body age faster. One of the most significant discoveries made by pioneering researchers in the field of aging was that the lifespan of lab rats was increased twofold after their calorie intake had been reduced. This does not mean that you should stay on a low-calorie diet to live longer, of course, but you should try to take the optimal amount for your age and gender. One of the easiest ways to reduce your calorie intake is to reduce the consumption of foods which contain the highest amounts of sugar and fat to the possible minimum. The list includes all sweets, junk food, canned foods, fatty foods like red meat, salami and yellow cheese and fried foods. Low consumption of important nutrients is also something which affects how fast you age. If you do not get enough nutrients, vitamins, minerals and antioxidants from food, you will be at higher risk of various health problems. The way in which you look will be adversely affected too. The best sources of healthy chemical compounds which are essential for the body include fruit, vegetables, legumes, whole grains and fatty fish. Make sure that these are present in your diet. Sedentary lifestyle has been linked to various medical conditions. It has adverse effects on the cardiovascular system and on the musculoskeletal system. When you work out and do cardio exercises, in particular, the blood flow in the body improves and all organs and systems work more effectively. Just half-hour walk every day can help to reduce the risk of heart disease. Insufficient sleep also causes the body to age more quickly. You do not have to be a scientist to notice how bad you look after a week with three hours of sleep every night. When you are tired, you cannot do anything as well and as quickly as usual and this causes greater stress. Adults should try to sleep for at least seven hours each night. If you have sleep problems, you should take the necessary measures to deal with them right away. Poor care for your body can also lead to faster aging. Frequent exfoliation of the skin helps to remove the topmost layer of dead cells and to stimulate the production of collagen and elastin. Teeth flossing and washing are essential routines. Regular medical checkups are mandatory regardless of a person’s age. They can help to detect and treat potentially serious problems early on. Similarly, if you notice any bothering symptoms, you should report them to your doctor without delay. It is best to consult your physician when you plan to use any home treatments such as the intake of supplements. With a healthy lifestyle, you may be able to slow down aging.